The different function of coil mattresses, also known as innerspring or spring mattresses, versus that of memory foam mattresses involves a difference in construction that leads to a difference in how the mattress interacts with the individual using the mattress. Additionally, you can also find a type mattress that combines elements of both innerspring and memory foam construction, as described at the Myessentia website. A coil, or spring, mattress uses springs as the means of support; and these springs vary in number depending on the specific model. Memory foam instead uses a foam base that replicates the effect one would obtain by incorporating billions of tiny springs. Such mattresses adapt themselves to the occupant’s body; whereas coil mattresses require the sleeper's body to conform to the mattress as described at the Myessentia website. Because of the rigidity of actual metal coils, or springs, innerspring mattresses rapidly lose resiliency. Spring mattress lose up to 16 percent of their initial support capacity within the first year, begin to sag within one to two years and require replacement within 10 years and as rapidly as after the fifth year as described at the Myessentia website. Memory foam mattresses have more resilience, and require less frequent replacement potentially lasting more than 20 years. Coil, or spring, mattresses rely on springs to support the sleeper. These springs push against the individual with equal force. This results in inadequate weight distribution and thus pressure points that produce such problems as aches, joint pain, and even poor blood circulation. Inner foam mattresses, however, in conforming to the sleeper’s body provide a more even weight distribution that reduces pressure points as described at the Searchwarp and Myessentia websites. Memory foam mattresses typically exhibit temperature sensitivity, allowing them to become more supple and to more fully adapt to the occupant’s body configuration as body heat warms the mattress as described at the Searchwarp and Myessentia websites. Coil mattresses do not exhibit such temperature sensitivity on their own; although some models involving a combination of an innerspring foundation with a memory foam topper do exhibit this characteristic. Both innerspring and memory foam mattresses have varying firmness depending on the precise brand and model, with innerspring mattresses deriving relative firmness by way of coil diameter: larger diameter coils provide a firmer-feeling mattress. Both types mattress have potential drawbacks for the purchaser to consider in making a choice among different mattresses. The drawbacks for memory foam mattresses include relative costliness, that some foams take longer than others to conform and recover to body contours, and in the case of models made with poor quality foam the potential for an unpleasant smell in new mattress models. 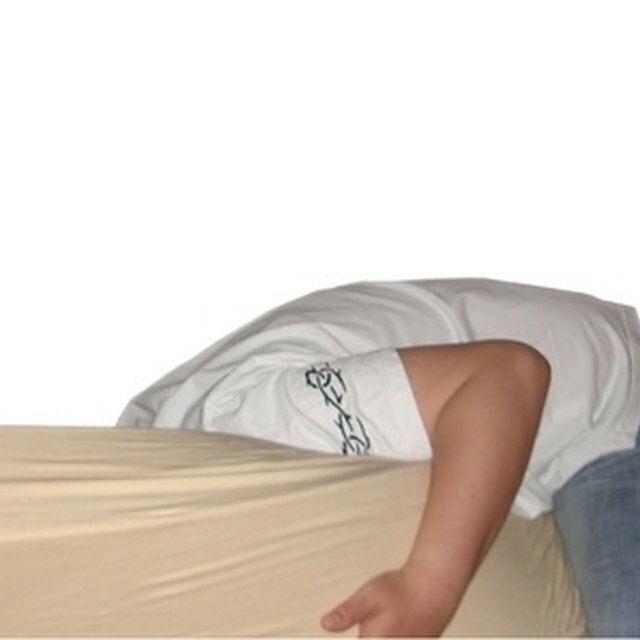 For innerspring mattresses, the drawbacks include that they begin to sag within two years, that they do not distribute body weight evenly, that they have no provision for spinal alignment, and that warranties typically limit body impression to 15 inches which tends to occur within the first six months of use.